Van der Hum liqueur is uniquely Cape. Like Waterblommetjie Bredie. 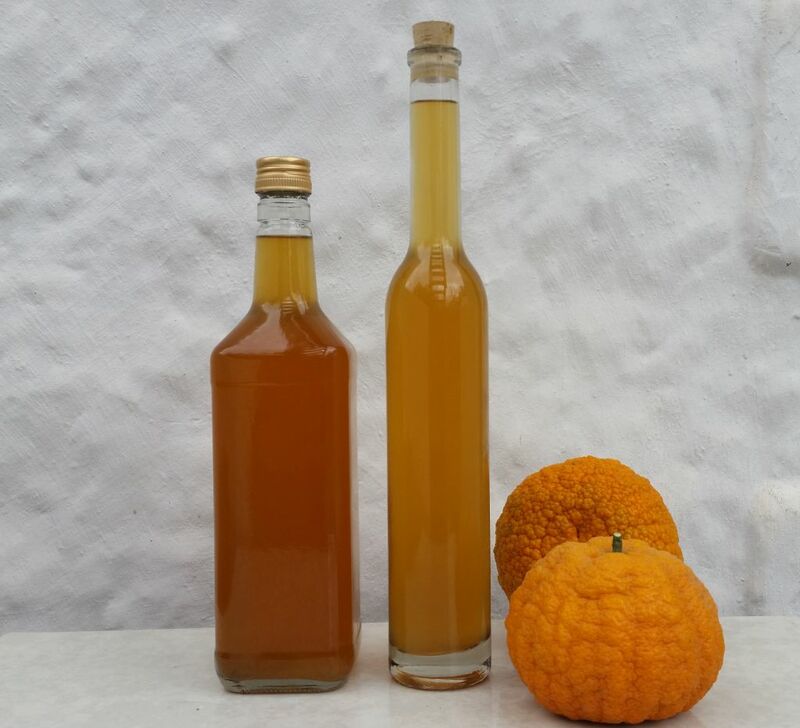 It is a liqueur made with Cape brandy and Cape Naartjie peel, first made by the Dutch settlers at the Cape. As 19th Century culinary authority, Hildagonda Duckitt describes it “a true Cape specialite”. It was the practice at the Cape to end a meal with a ‘soet sopie’, as it was described. A soet sopie is comprised of a brandy infused with fruit. 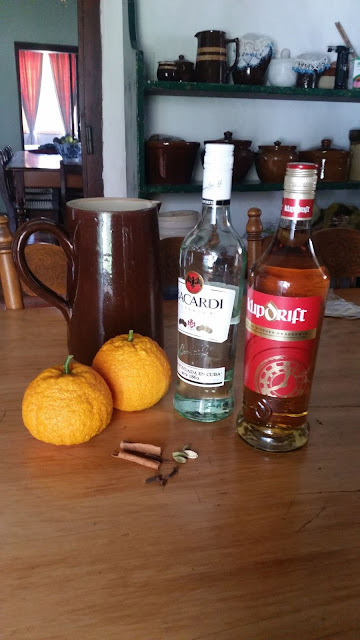 The Cape Naartjie peel- infused brandy, was one of many liqueurs made at the Cape for such occasions. After successfully planting and growing a Cape Naartjie tree, I lost the first harvest to theft. With the second harvest, I was determined to make Van der Hum liqueur. I started looking for old recipes and found two in ‘Hilda's "Where Is It?" Of Recipes’ published in 1919. One was from, “Mrs. Cloete from Groot Constantia” and the other, was simply described as “Old Recipe Cape Specialité”. The first called for 6 bottles of brandy. I looked at my 5 naartjies and realised I would have to look for a more modest recipe. Her second recipe called for 10 bottles of brandy and a glass of rum per bottle. 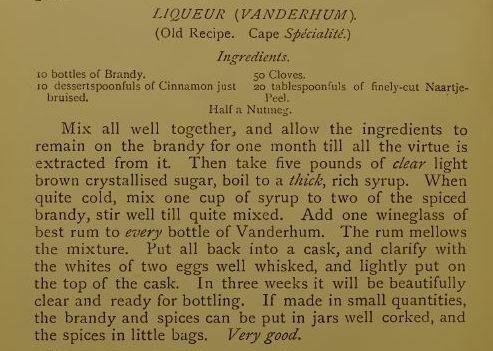 It was clear that making Van der Hum Liqueur was a serious business in old Cape households. 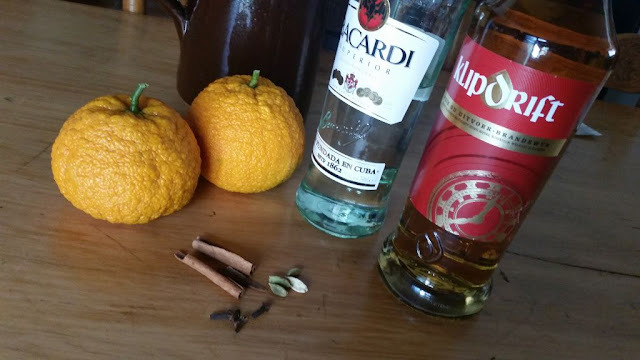 I decided to use the recipe for Van der Hum liqueur in my trusted recipe book, ‘Make your own Liqueurs by Jean Dickson (1991),’ as the basis for my first attempt. Pour the brandy and rum into a glass container with a lid. Add the cardamom, cinnamon, cloves, and nutmeg to the mixture. Remove the white of the naartjie peel and add the peel to the mixture. 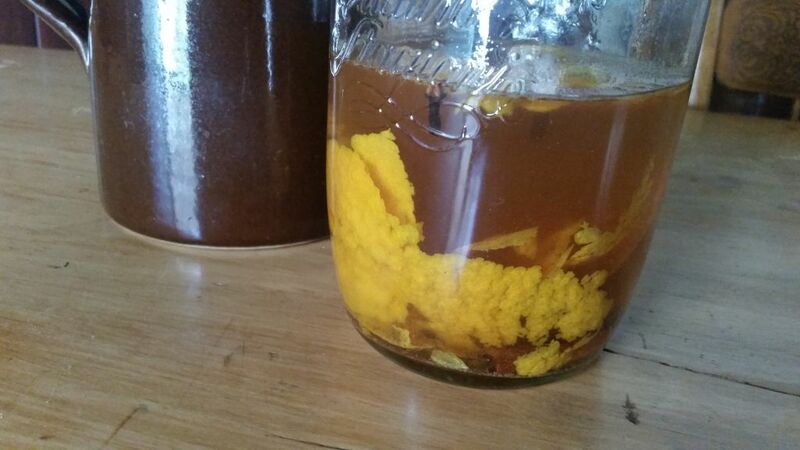 Seal the container and let it infuse for 4 weeks in a warm place. After 4 weeks, pour the mixture through a sieve and then filter it through fine muslin cloth. In the meantime, dissolve the sugar in the water on the stove in a heavy based pot, bring to the boil and cook for 15 minutes. Remove the syrup from the heat and let it cool down. Add the filtered mixture to the cold syrup. 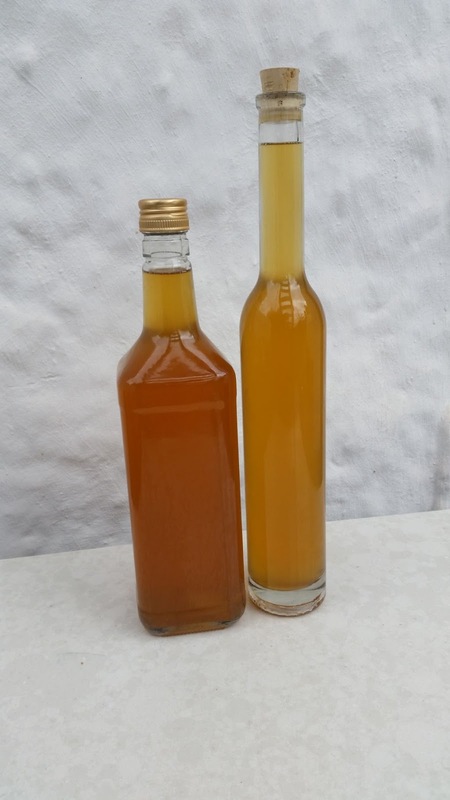 Pour the liqueur into dry, sterilised bottles, seal and wait 2 weeks before serving. It felt just right to make this true Cape liqueur or ‘soet sopie’ in a historical 19th century Cape kitchen. I wonder if the kitchen smelt the same when the liqueur was likely made in it more than 100 years ago. What an experience it must have been, to have a Cape brandy infused with the fragrant peels of freshly picked naartjies and treasured spices. 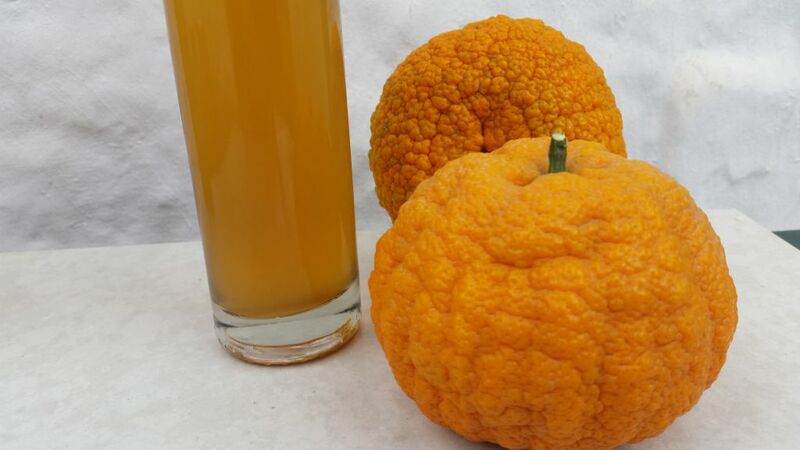 The exotic taste of the fruit and the luxury of spices from the east speaking of warmth and exotic destinations. Van der Hum liqueur, provides a perfect ending to an evening. An evening of a shared slow-cooked meal enjoyed convivially with friends. Enjoying and savouring a final taste of the fruits of the garden before one bids the company good night. Thank you Thys. I read the first two recipes but prefer your own...most def. try my hand at it, sounds Delicious. Thank you for an interesting blog - as always!! Thank you Ann, I agree the Towerwater recipe is more manageable. Early Cape households certainly enjoyed their Van der Hum! Lovely post, thanks.